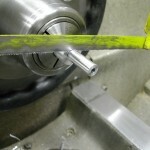 I had some scrap 7075-T6 aluminum left over from some other parts so I knocked off the corners until I could fit it into a collet. 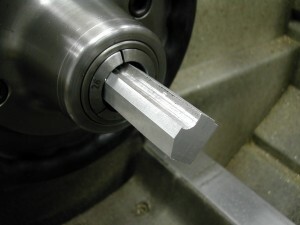 I then rough turned it down until is was round. 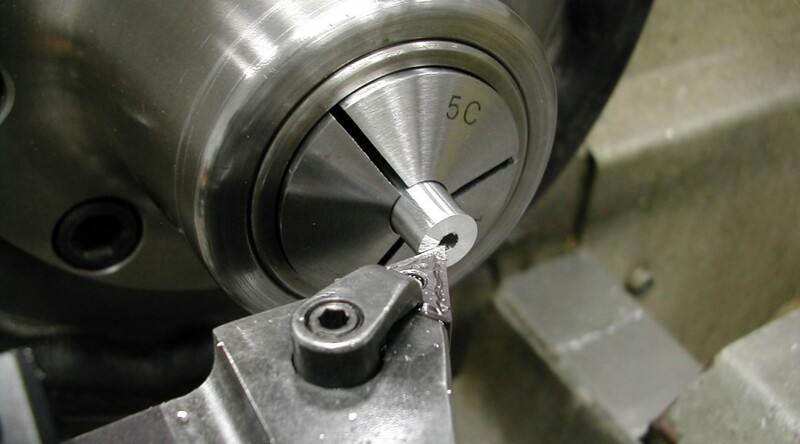 The rough-turned stock was then placed in a smaller collet and a 7/8″ long section was turned to 0.344″. 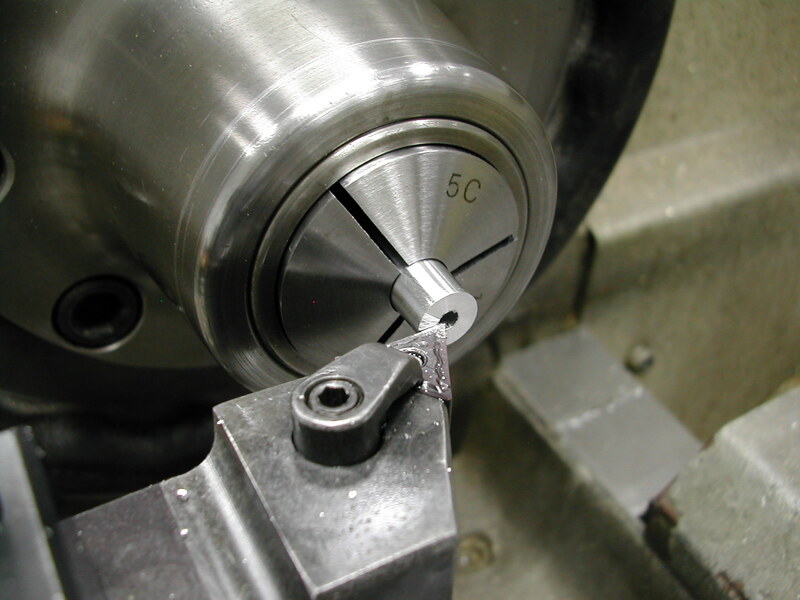 The fit was checked in the retaining plate counterbores before proceeding. 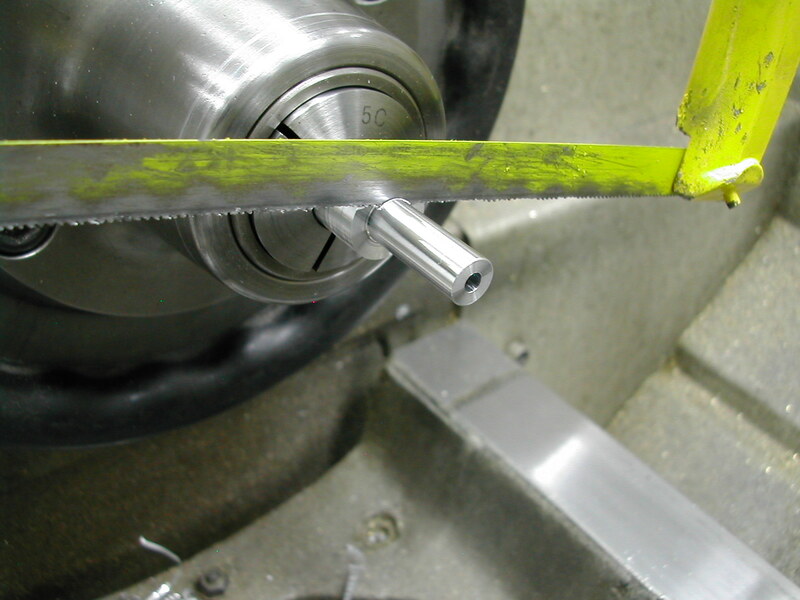 The spacer was then sawn from the stock and the process repeated two more times. 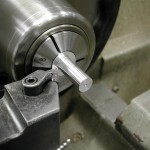 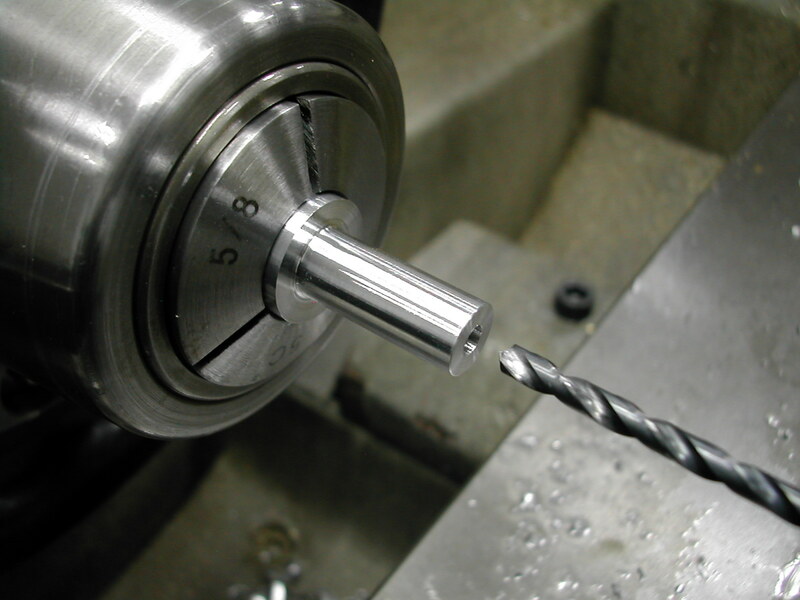 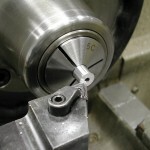 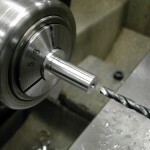 Each spacer was then re-chucked in an 11/32″ collet and faced to the finished length. 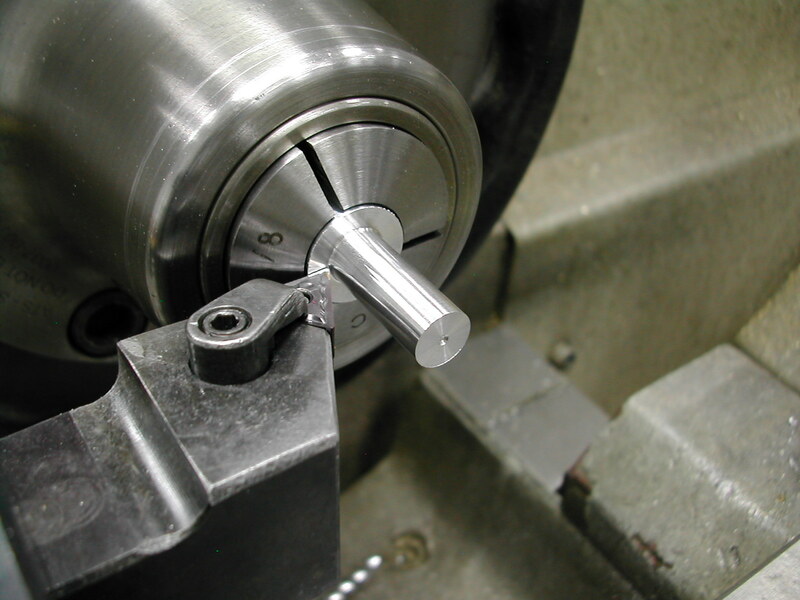 These were made to 0.765″ because I added 0.025″ at each end for the counterbores.